It’s time to enjoy foods and performances from cultures around the world. 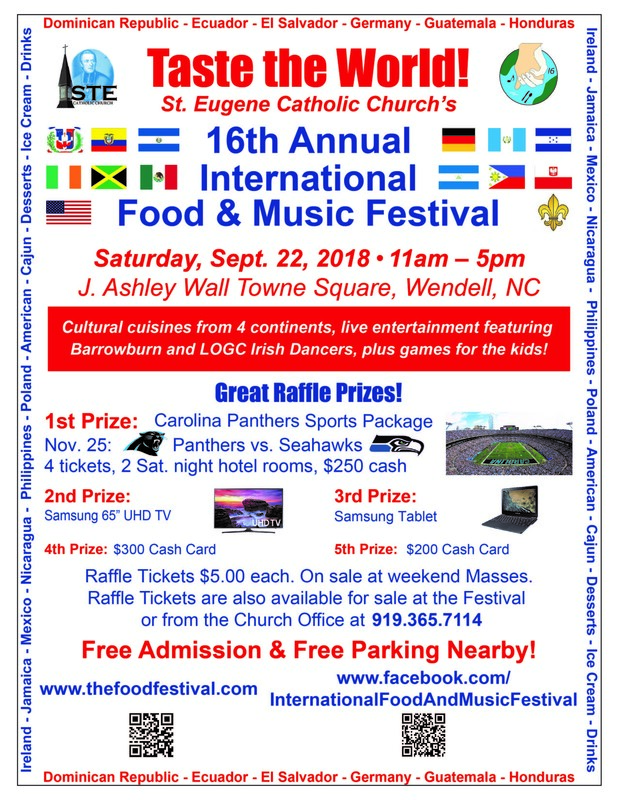 The 16th-annual International Food and Music Festival is scheduled for Saturday, September 22, 2018, 11am-5pm. The “IFMF” is the creation of St. Eugene Catholic Church. Food, entertainment, vendors, and raffles are all made possible by church staff and their cadre of volunteers. Each year the church schedules dozens of dancers and entertainers, food preparers, vendors, game runners, and takes over the town. 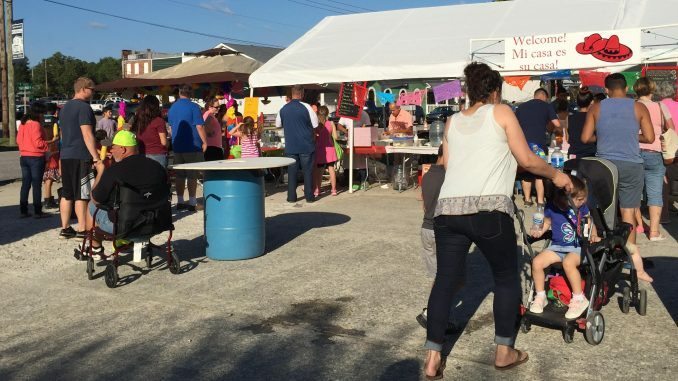 Whether you go for the day, stop by for an around-the-world meal, or sit in front of the stage for awhile, it’s a memorable and delicious event to attend — — for many area families the IFMF is an attend-every-year event. Entertainment includes Barrowburn and the Lynn O’Grady Quinlan Academy of Irish Dance. 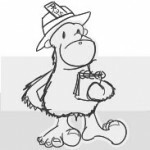 This year’s top church raffle prize is a Carolina Panthers–Seattle Seahawks sports package for four. The festival takes place in and around J. Ashley Wall Towne Square, at Cyprus and Third Streets, Wendell, North Carolina.